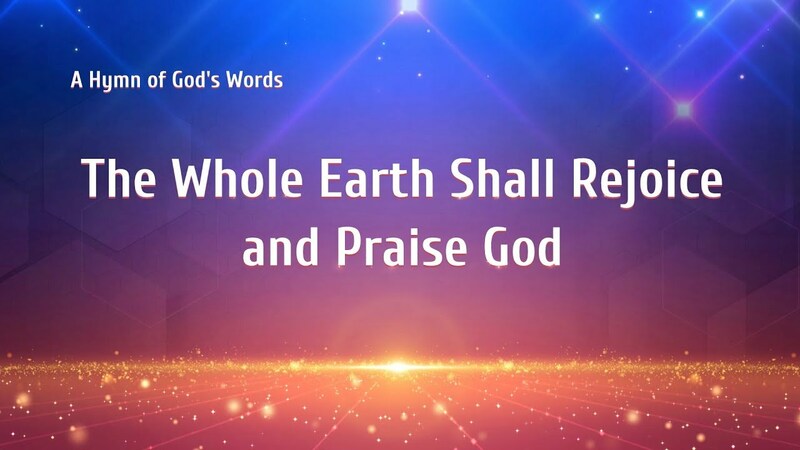 New Heaven and Earth Has Appeared "The Universe and Expanse Is Praising God"
New heaven, new earth, and new age; the entire universe is rejoicing. New people, new things, and new kingdom; all God’s people along with all things are praising Him. New songs, new dances, and new life; brothers and sisters are singing and extolling the accomplishment of God’s work. Look! 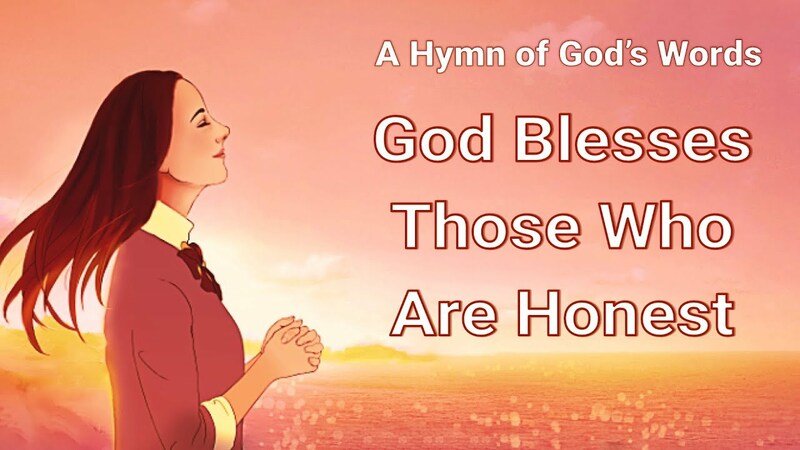 The new kingdom hymn The Universe and Expanse Is Praising God, accompanied by the passionate and the vigorous and powerful drumbeats, leads you to praise God freely! the universe and the ends of the earth become a seething sea. Ay … the heaven is new and the earth is new. The vast expanse of the universe is full of praising; we shout and leap for joy. Mountains join mountains and waters join waters, all brothers and sisters are heart to heart. coming joyfully before His throne to worship together. God has in Zion revealed to the universe His righteousness and holiness. All God’s people are beaming with joy, praising God unceasingly. Hey hey hey hey hey, hey hey hey hey hey. Ay … to love God, we must offer up a true heart. Sing and dance to praise Almighty God. The praising voice rends the skies. Let us, male and female, old and young, catch up together. You offer songs and I offer dances, you sing and I cooperate. Shamed is the devil—the great red dragon; glorified is the name of the almighty true God. We all have seen from His work God’s righteous disposition. Almighty God is a righteous God. All God’s people have seen His glorious countenance. We all pursue to love and satisfy God, willing to be faithful to Him forever. all nations and all peoples are laughing happily. What a new look! Ay … the new heaven, new earth, and new kingdom! We dance and sing new songs for God; we’re so joyful! The most beautiful songs are sung to God, the most graceful dances are presented to God. A sincere heart is held up to God, a true heart is offered up to God. All God’s people and all things will praise Him forever without ceasing. Ay! Oh! Zion is so glorious! God’s dwelling place glows with rays of light. Its glory shines throughout the entire universe. Almighty God wears a smile, and sits on the throne watching the new look of the entire universe. Hey! Why doesn’t the Lord appear to man and work in a spiritual body when He comes back in the last day? Why does one have to pray, have meetings, and read God’s words while believing in God so as to receive a new life? ﻿ The Prayer of God’s People Lyrics I God’s people are raised before His throne, many prayers in their hearts. God blesses all who return to Him; they all live in the light. Pray the Holy Spirit enlightens God’s word that we fully know God’s will. May all people cherish.. The True Love of God I I stand before my God again today. My heart has much to say when I see His lovely face. I’ve left my wandering past behind me. His word fills me with bliss and joy from His grace. It’s God’s tender words that water and.. Praise God with a Single Heart 1. If you want to sing, sing loudly (la la la la). If you want to dance, come to dance (la la la la). Eat and drink if you want; pray as you like. Contemplation, pray-reading, fellowship (la la la la), meditation, pondering, or..
1. The last Christ has appeared; the kingdom is among men. Almighty God is seated on the throne, with a smile, uttering His voice to all the nations, revealing His majesty. The heavens and the earth are cheering together; all nations and all peoples are dancing together. God has gained..